Jessica Silva has been found not guilty of murder. "If you don't come out I'm going to kill you," he screamed at her. A woman who stabbed and killed her abusive ex-partner on the street outside her parents’ Sydney home has been found not guilty of murder, but guilty of manslaughter. 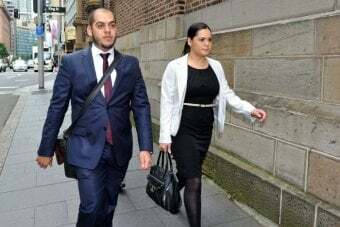 Jessica Silva, 24, stood trial in the NSW Supreme Court, over her attack on James Polkinghorne, 28, at Marrickville in May 2012. Silva had ended her four-year relationship with Polkinghorne, two months before his death. During the trial, the defence detailed a history of domestic violence, including physical abuse, death threats and threats of serious violence. The jury was told James Polkinghorne became paranoid and aggressive when he used drugs including ice, which he was also selling. 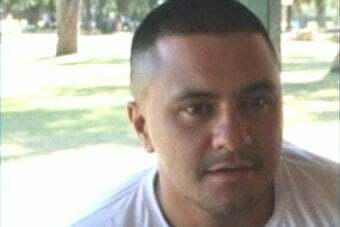 At the time, Polkinghorne was a suspect in the murder of another man, Nikolas Argiropoulos, and was under police surveillance. Many of the text messages and phone calls recorded as part of this investigation were used in evidence at Silva’s trial. The court heard that on the day of the incident, Silva threatened to stab Polkinghorne, in a conversation with her brother. During the trial, the Crown acknowledged the abuse Silva suffered but said the killing was not lawful and there were other lawful ways to respond. Silva told police Polkinghorne called her that night from a park across the road from her parents’ home where she was staying. “I’m 30 f***in’ seconds away,” Polkinghorne said. “If you don’t come out I’m going to kill you. Silva’s brother and father went to Polkinghorne and tried to calm him down. Silva also went out and said her ex-partner grabbed her, punched her in the face and ripped her pants. She said Polkinghorne then claimed to have a gun and again threatened to kill her. “That was when I just lost it,” Silva told police. The court heard Silva broke free, ran into the home, grabbed a large kitchen knife and returned to the street. Armed with the knife, she said she told Polkinghorne she was scared for her life. She could not remember what he said in response but the court heard she stabbed Polkinghorne in the shoulder, chest and back. No weapon was found on Polkinghorne. Silva said she never reported Polkinghorne’s abuse to police, because he had threatened to kill her if she ever took out an apprehended violence order. She said she did not know she could have reported it to police, without getting an AVO. 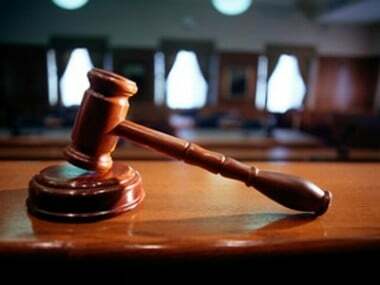 Her bail has been continued, pending sentencing.